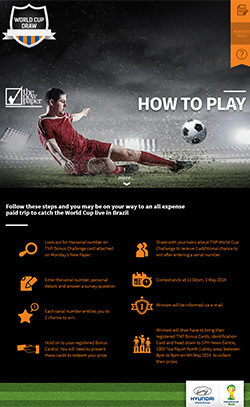 Singapore – The New Paper (TNP), a tabloid published by Singapore Press Holdings, has launched an integrated campaign to reward a lucky reader with an all expense paid trip to watch the World Cup Finals in Brazil. TNP is working with digital creative agency, noisycrayons, to integrate the campaign across print and digital platforms. Unique codes printed onto TNP Bonus Cards are distributed with Monday editions of the tabloid. 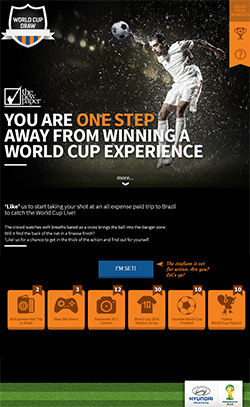 Readers are invited to enter the code they received onto a digital application to earn chances to win the coveted trip to Brazil. 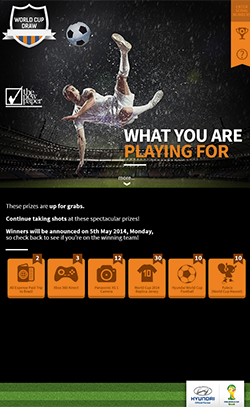 Bonus chances are also rewarded for readers who rally their football kakis to participate in the draw. noisycrayons is responsible for the storyboard, design and deployment of social and digital components of the campaign. 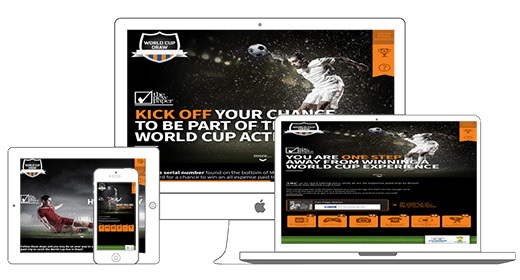 The campaign is expected to reach close to 100,000 readers and fans in football crazy Singapore.